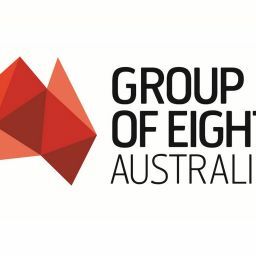 The Group of Eight (Go8) – which represents Australia’s leading research-intensive universities – is encouraged by Labor’s promised commitment to a complete reset of how Australian science and research is treated, valued and capitalised upon. Go8 Chief Executive Vicki Thomson says Labor Leader Bill Shorten’s acknowledgement, of the depth at which research should be incorporated into Government decisions to benefit everyday lives and address major economic issues, should be acknowledged as an important step forward. “Labor has set out unequivocally that in Government it would make science and research front and centre of its decision-making processes,” said Ms Thomson. Ms Thomson said Labor had acknowledged the research and science system was currently at risk, given it is weakened and thwarted by a distorted funding model; an issue still unresolved (and damaging Australia’s economy and International reputation) despite successive research funding reviews. “Labor’s proposed root-and-branch science and research review provides a major opportunity to take a hard, focussed, look at these systemic weaknesses such as investigated through Canada’s Naylor review which saw positive outcomes,” she said. “The proposed charter with the Australian science and research community, and the appropriate recognition it pays to the work of our scientists, as well as Labor’s emphasis on the importance of academic freedom and peer review, is vital to Australia’s leading research-intensive Universities. Our research contributes some $24.5 billion to Australia’s economy each year,” said Ms Thomson.